Wind energy is a central area of research and education at Aalborg University. Research areas include: energy planning; power electronics and power systems; control analysis and design of composite structures; structural dynamics; foundation engineering; reliability; and operation and maintenance. 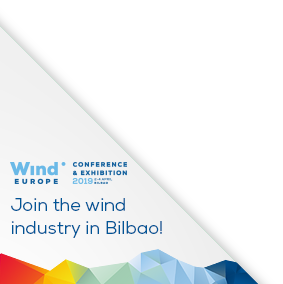 As one of the largest independent suppliers of electrical components as well as a technology leader in connecting wind farms to the grid ABB supports the wind industry along the complete power value chain to plan generate connect transmit monitor and control power from windfarms as well as to maintain and optimise their systems. ABS Group provides technical services to support safe reliable high-performance assets and operations. A leading provider of independent third party risk analysis mitigation consulting and technical assistance services ABS Group operates with more than 2000 professionals in over 30 countries. ABS Group is a subsidiary of American Bureau of Shipping. ACCIONA Energía is a global operator in renewable energies with 25 years’ experience in the sector and near 9,000 MW under its ownership. It owns 222 wind farms totaling 7,517 MW; 76 hydro plants (876 MW); several photovoltaic plants (389 MWp), three biomass facilities (61 MW) and a CSP plant (64 MW). The company markets 100% renewable electricity (PPAs) and customized solutions to reduce carbon footprints to large corporate clients. Aero Enterprise from Linz/Austria is one of the first service providers, who is able to perform automated inspection on wind turbines with drones. Our unique and self developed helicopter is extremely wind stable and operates even under harsh conditions. Since 2013 we provide our services for customers all around Europe. The Agoria Energy Technology Club is a business ecosystem which provides a single point of contact to do business with experienced Belgian based suppliers in the energy sector (renewable and conventional energy generation sectors). By organizing high-level events, the Club offers the opportunity to meet with a lot of potential partners and/or clients, tailored to your needs, in an extremely efficient way. The Energy Technology Club represents the BeLux’s premium networking platform for all matters concerning the energy industry with focus on research, development and technology. airpes® it's a company dedicated to the manufacture and commercialization of weighing systems and handling devices, has dedicated all their efforts in achieving high quality products, directed to the demanding industrial world, and more especially to the measurement and control of loads to be lifted. This is guaranteed by over 25 years of experience of the human resources of airpes®. Among the most outstanding products are the weighing hooks, hook block scales, load limiters, radio remote control devices, clips for the manipulation of coils, transport trailers, motorized hooks, transport and weighing pallets, devices for lifting for the wind sector, etc. All the airpes® products fulfil the most demanding regulations of security and quality of the European Union, also having the processes of design, manufacture and marketing certified in UNEEN ISO 9001: 2000 by the prestigious German organization TÜV. Alpha Offshore deliver a variety of technical personnel, integrated engineering, maintenance, repair and inspection services to offshore and onshore wind energy projects. They work with wind farm operators and OEM's during the installation and commissioning, and operations and maintenance stages of developments. Through their parent company, the Sparrows Group, they also deliver specialist lifting and mechanical handling equipment. Ammonit offers high quality measurement technology for renewable energy projects e.g. resource assessment SCADA power curve measurement and climate research. The product portfolio includes data loggers meteorological sensors SoDAR and LiDAR devices communication and power supply systems applied by consultants operators and research institutes in over 100 countries worldwide. The core activities of anemos comprise: wind measurements; wind field simulations (wind mapping and windfarm energy production estimation); wind data analysis; estimation of turbulence intensities and the calculation of a worldwide site-specific wind index; shadow and noise emission estimations; energy yield due diligence; and portfolio calculations. ANEV Associazione Nazionale Energia del Vento Italian Wind Energy Association is an environmental protection association legally recognised that collects renewable source power producers and operators representing more than 70 firms operating in Italy. The Spanish Wind Energy Association was created to defend the interests of the sector and to promote adequate regulatory frameworks. Additionally it deals with the technical and economic integration of electricity. AEE is organised into different working groups treating the main issues affecting the wind sector: HSE research exports. Atlas Professionals Renewables team takes pride in being able to provide professionals for the entire life cycle of an offshore wind farm. Our multilingual team has the experience in recognising the expertise required for global offshore wind projects and helping to develop the skillsets of their professionals worldwide. AXIS Insurance’s team has extensive experience and in-depth understanding of the risks faced by the wind energy industry. We provide specialised property and casualty coverage for every stage of wind projects from development through operation from residential to utility scale. We work with developers owner/operators EPC's and O&M providers worldwide. With 45 years’ experience in the design, manufacture, and deployment of remote environmental monitoring systems, AXYS applies its extensive knowledge and experience to complex ocean data acquisition systems that measure aquatic, oceanic and atmospheric parameters. AXYS systems are built with cutting-edge technology proven to be reliable and durable in a wide range of applications, including harsh and remote marine environments. The FLiDAR WindSentinel is the world’s leading floating LiDAR system for offshore wind resource assessment experienced in accurately gathering data on wind speed and wind direction at sites in Europe, Asia, and North America. Former Bernecker + Rainer Industrie-Elektronik Ges.m.b.H. Bachmann electronic GmbH develops produces and sells innovative control communication visualisation and drive servo systems for sophisticated end-to-end automation solutions. The systems are used globally in a wide variety of industrial engineering applications for series and special purpose machine production for wind energy applications and in environmental technologies. Barlovento provides worldwide services for wind and solar plants developers, wind turbine manufacturers, investors and financing entities. Our fields of expertise are: measurements, meteorology, testing of wind turbines, engineering and consultancy, due diligence, electrical tests and grid integration studies. We are accredited IEC-RE testing laboratory and member of Measnet. Bazefield is an OEM independent operation management system for renewable energy providing tools for real-time monitoring reporting availability planning stop and loss analysis and fact-based decision. The Bazefield system assists you achieving increased profitability improvements of your assets whether it is reduced downtime improved availability or increased efficiency of assets. The Belgian Offshore Platform unites the Belgian players investing in renewable wind energy in the Belgian North Sea. The BOP stimulates the development of offshore wind energy by representing the interests of its members with the government advocating the prerequisites for the development informing on wind energy in the North Sea and exchanging experiences. Bird & Bird is an international law firm with a focus on helping organisations being changed by technology and the digital world. With over 1300 lawyers in 29 offices across Europe, the Middle East, Asia-Pacific and North America, we're ready to help you wherever you are in the world. Bladefence is a specialist for wind turbine blade inspections maintenance and repairs. Bladefence utilises skylift equipment and UV-curing blade repair methods for operations in adverse weather conditions with minimum turbine downtime. The company was certified by Germanischer Lloyd for blade repairs as the first company in the Nordic countries. Belgian companies working in the Offshore Industry are worldwide leaders and have the knowledge and technology to grow. There is however still an untapped potential to grow both locally and internationally. The Belgian Offshore Cluster or BOC wants to be the aggregator to defend the interests of the Belgian offshore industry and to spread our profound knowledge and experience. Therefore, the BOC wants to create a wide and independant (industrial) platform which maintains the necessary relationships between our sector, governments and international organisations.